As project lead, helps determine educational needs of stakeholders and translates strategies into operational plans. Designs learning plans, eLearnings, documentation and other deliverables, as needed. Drives and delivers projects, including a slate of eLearning modules, ensuring timeliness and high quality. Effectively monitors work of vendors and contractors as directed by Manager. Creates momentum and drives projects to completion. Creates narratives, storyboards, scripts, etc., that cogently present information. Offers support to other education-related projects as needed by Manager. Minimum of 4 years leading and developing educational and/or training/eLearning solutions. Background in instructional design and adult learning theories (preferably ADDIE), education, and/or training. Proven ability to organize and dynamically lead teams. Ability to create momentum and drive a project through to completion. Must model accountability and professionalism in all areas of responsibility. Proficiency in Microsoft Office, Adobe Creative Suite, eLearning authoring tools (e.g., Adobe eLearning suite), and pre/post video production. Some travel may be required, both domestic and international; must have valid travel credentials e.g. passport. If it impacts technology, IEEE has it covered. We publish technical journals, organize conferences and develop technology standards that help technological professionals exchange ideas, expand their knowledge, and move forward in their fields. 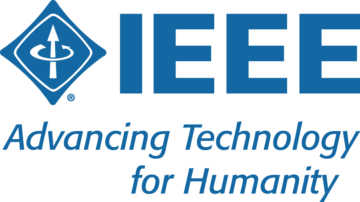 With more than 400,000 members, IEEE is the world’s largest professional association advancing technology for the benefit of humanity. We are a catalyst for exciting breakthroughs in computing, sustainable energy systems, aerospace, communications, robotics, healthcare, and many other disciplines that improve the quality of life. Discover your future as part of the IEEE team.